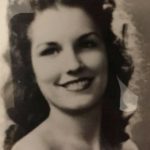 Patricia Helen Aleckson (Dean), 93 years old, passed away peacefully in her sleep on Friday, March 29th, 2019. She was born on April 5th, 1925 to the late Emerson & Irene Dean in Highland Park, Illinois. In June of 1946 she married Paul Robert Aleckson and they raised their two children in Glenview, Illinois. 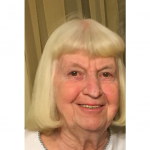 Patricia was an avid animal lover and enjoyed spending time with her family. She cherished her children, grandchildren, and great-grandchildren and will be deeply missed by all that knew her. She is survived by her children Robert Edward Aleckson (Maureen), Patricia Wolinski, her grandchildren Jennifer Greenberg (Matthew), Joseph Wolinski (Laura), and Brian Aleckson. Patricia also had five great grand-children, Kaitlyn Greenberg, Ryan Greenberg, Jacob Greenberg, Grace Wolinski, and Natalie Wolinski. 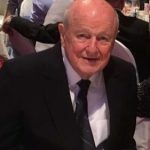 Gerald Leo Matayka, age 73, a resident of Round Lake passed away on Monday, March 25, 2019. He was born on May 6, 1945 in Chicago to Edward and Marie Matayka. Gerald was a member of the Military Police during the Vietnam War with the division of Phan Rang 504th. He is survived by his wife, Mary, of 47 years whom he married on October 8, 1972 in Chicago. 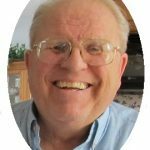 He is further survived by his children, Caryn M. Stanley of Platteville, WI and Edward S. (Karen G.) Matayka of Bandera, TX; grandchildren, Alissa K. Stanley of Milwaukee, WI, Quinn A. Stanley of Platteville, WI, Alana M. Matayka of Bandera, TX and Ryan D. Matayka of Bandera, TX; brothers, Edward Matayka of Crystal Lake, Robert Matayka of Bridgeview, and Thomas (Sandra) Matayka of Cary. He was preceded in death by his daughter, Kathryn A. Matayka; and his sister, Elizabeth O’Brien. 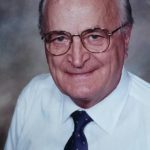 A visitation and funeral service is scheduled for Saturday, March 30, 2019 from 10:00am until 2:00pm with the funeral service commencing at 2:00pm at Strang Funeral Chapel & Crematorium 410 E. Belvidere Rd. Grayslake, IL 60030. Interment will be held privately. Memorial donations may be made to the Wisconsin Fisher House, 5000 National Ave, Milwaukee, WI. For more information please contact (847)223-8122 or log onto www.strangfuneral.org.